This is not the story of why we started homeschooling. You can read that here if you’re interested. Rather, these are the steps we took to actually begin our homeschooling journey, one of the best choices we’ve ever made as a family. I hope this is helpful to anyone considering homeschooling. The first step was probably the easiest step of all, at least for me. It was simply deciding to “go for it”. I remember thinking homeschooling sounded so natural! (Because it is natural!) This was also when I found some support, which I think was critical for boosting my confidence. I will always be grateful to the homeschooling mom who gave me the idea and the courage to homeschool in the first place. She was a great resource as I was finding my own way. More about that in a bit… Naturally, I thoroughly discussed the subject of homeschooling with my husband. I’m so glad he trusted my mommy instincts and gave me his full support, even though he did have a few concerns (all of which I’m happy to say no longer exist.) We also prayed to our Heavenly Father for His direction, and felt His approval which was very comforting. The second step required a bit of research. It was to find out the specific homeschooling laws for where we lived and take the necessary actions to comply. Of course, the homeschooling mom I knew was helpful since she was also a neighbor, but I went online to find and read the homeschooling laws for myself. In my case, they were/are very similar to the laws of Utah and Arizona (these are the states we have homeschooled in since). All that was required by law was for me (the parent) to give my child’s school board, written notification (a letter) of my intent to homeschool. Easy peasy! By the way, HSLDA has a great website for learning each state’s homeschooling laws and regulations. Since we were pulling our son out in the middle of the school year, our third step was to select a last-day-of-school date, notify his teacher, and as a courtesy (so my son wouldn’t be accused of truancy), notify the school’s principal. When I told my son’s teacher, she was surprisingly supportive. Together we chose the day of the class Valentine’s party, which was only a week away, as my son’s last day of school. The vice-principal summoned me into his office and told me I was making a huge mistake and would ruin my son’s life (ha!) but that unpleasant experience only increased my resolve, and later my husband told that principal a thing or two! The fourth step was to give my son time to adjust. This is often called, deschooling. In other words, we spent meaningful time together without worrying about “school” stuff as we formed a routine that worked for us. You can read more about deschooling here. For us, deschooling was letting my son wake up naturally and eat breakfast in his pajamas. 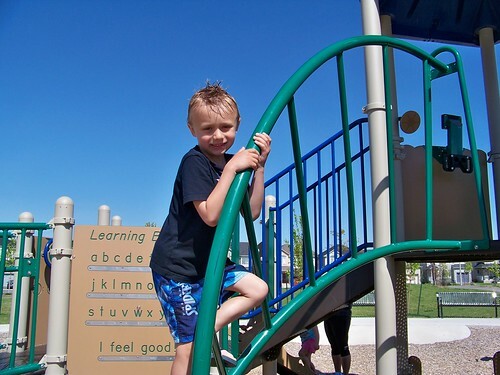 It was casual days of nature walks, bike rides and trips to the park and library. It was quiet snuggle time on the couch, reading books together. It was visiting my homeschooling friend and watching their homeschool in action. It was playdates with younger neighbors. I would say our deschooling time lasted several weeks, but honestly, since we ended up unschooling, we just fell into a natural rhythm that continued for the next few years. The fifth step was observing my son’s learning preferences while reading up on homeschooling styles and curriculum. I was immediately drawn to unschooling. It just fit us. I also realized that every homeschooling family operates differently and it’s always best to be true to yourself and do what is right for your own family. I won’t go into the different homeschool methods here because I honestly don’t know most of them, and some states have certain curriculum requirements, but we have always lived in states where we had complete freedom in that area. We chose to unschool for the first several years of our homeschool journey, and have since evolved to eclectic learning. For us, unschooling meant letting my son take the lead in his education with my guidance, and going at his pace. He did not enjoy textbook lessons and worksheets so we quickly scrapped the expensive boxed curriculum my friend had talked me into buying (that was how she homeschooled). What he did enjoy was finding books and DVDs that interested him in the non-fiction section of the library. We watched a lot of The Magic School Bus. We studied frogs (in our backyard), dinosaurs, rocks, weather patterns and Canada. He learned his 3 R’s (reading, writing and arithmetic) with very little formal lessons and in ways he enjoyed (a whiteboard over paper, games, unit studies, etc.) 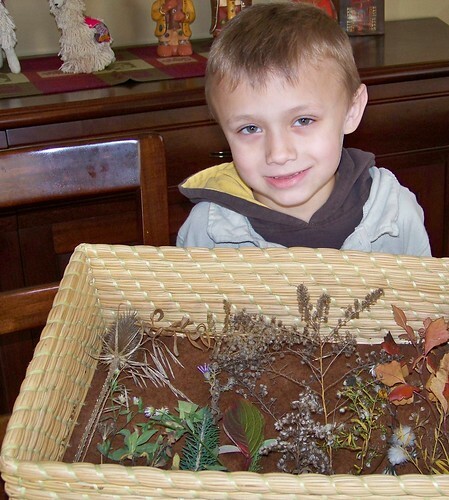 We took a lot of nature walks and did a lot of crafting and easy science experiments. 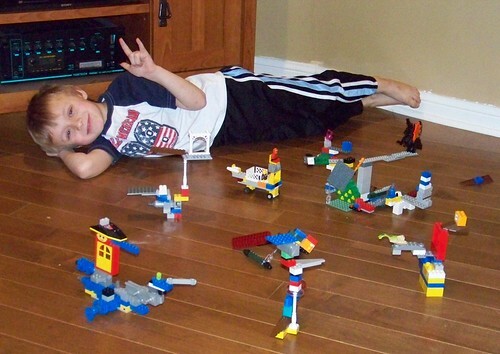 We played with Legos and play dough. ♥ The best part was having a happy carefree little boy again and gaining time with him that I would’ve missed out on otherwise. This is the story of how we started homeschooling. I’ll try to keep it short and sweet. This is one of my 52 Stories. I stood in the front office of an unfamiliar elementary-combined-middle school, shaking my head in disbelief as my husband’s request to speak with the vice principal was coolly denied. I tenderly took my six-year old son by his hand and followed the robotic staff member to a first grade classroom. A quick hug and one backwards glance was all I could manage. I barely made it to the car before my tears were freely falling. This was not what I had envisioned for my son’s Kindergarten year. You see, in Arizona, with his late birthday, he had an extra blissful year home with me, but here in Ontario, Canada, he was declared too old for Kindergarten, at the ripe age of 6! He will be just fine, I told myself. I will be just fine. This is just the way things are. And for the first month the novelty of going to school with his big sisters and a Batman backpack was enough to boost his confidence and ease my fears somewhat. He quickly made friends in his class and he liked his teacher. However, things were not perfect. For one thing, he was considered “behind” his peers from the get-go. He was still learning letter recognition and sounds, while his classmates were already writing a bit and reading. The school expected us to catch him up, but he came home exhausted from six long hours of formal schooling and simply shut down. His first report card was full of D’s! And although I was putting on a brave front, I was depressed. This was the first time in fifteen years that I had no children home with me during the day. This just didn’t feel right. By the fourth month, my son was protesting every single school morning as I pushed and prodded him to get dressed, eat something and walk to school. I started bribing him with anything I could think of. He clung to me in the school yard and I literally had to push him inside the school door when the bell rang. One day at recess, he ran away from the school in the direction of home. Only his big sister, Darcie, saw him and chased him down. She brought him back and because the incident scared her so much, the office reluctantly phoned me acting as if it was no big deal. But that was a big red flag to me. My baby was unhappy and this was not working. Learning should be fun! I had one homeschooling friend in the neighborhood. She encouraged me to take Marcus out of school and end our misery. She told me, “Kindergarten is not rocket science!” I don’t know why I’d never considered homeschooling before, but it was truly a breath of fresh air and we have never looked back. As soon as I pulled him out of public school (much to the vice principal’s vocal dismay), my son flourished in ways he never did in school. He was my carefree, happy boy again, and with the pressure off, he was reading within three months. We unschooled because that just felt natural. Our favorite activities were exploring nature, visiting the library where he loved the non-fiction section and simply reading together. That was eight years ago! 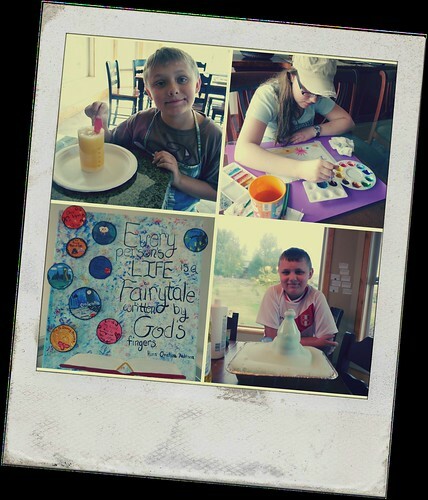 Next week I’ll be posting a “day in the life” where I share a homeschool day with you. Thanks for reading. #1. Homeschooling has given me opportunities to truly be apart of my children’s passions. In public school, my son’s enthusiasm for science and my daughter’s flair for art would merely be scratched on the surface. 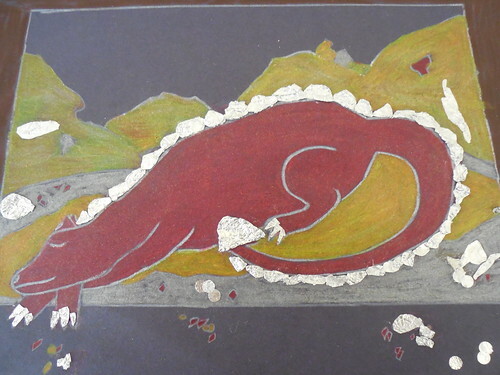 Our relaxed homeschooling days have provided unrestricted time and freedom for my daughter to create her own inspired artwork and for my son to conduct his own science experiments (with parental supervision of course). There is time to thoroughly study the lives and historic periods of famous artists and their masterpieces, scientists and their inventions. I have been front and center as I’ve witness each child embrace their natural curiosities and discover new talents. This type of learning has become a part of their hearts and minds. It’s truly beautiful to witness that kind of meaningful growth in my children. #2. Homeschooling has reconnected me with classic literature. I love to read, but daily life often gets in the way of good intentions and there are always newer novels competing with the classics. Homeschooling to the rescue! I wanted my son and daughter to know more classics than I did when I was in school, and there’s something magical about reading a classic together with your children. 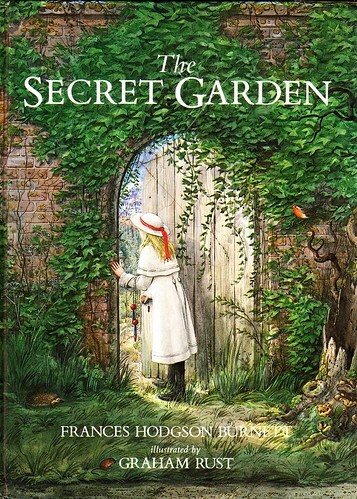 Some of the classics we have enjoyed are: The Secret Garden, Little Women, Swiss Family Robinson, Mary Poppins, Treasure Island, Around the World in 80 Days, A Christmas Carol, and The Hobbit, just to name a few. Last week my son and I created these original art pieces after an inspiring fieldtrip to a little museum. #3. Homeschooling has brought out my creative side. In a homeschooling frame of mind I have rediscovered classical music and poetry, two things I would’ve otherwise only thought to share with my children on special occasions. Our unit studies have led me to creative ways to bring multiple subjects together. For example, while reading The Hobbit, we ended up composing our own riddles and creating foil art. It’s been fun for my children to see me try my hand at creating alongside them. I just know I never had this much fun when I was in school and there’s something immensely satisfying about using my own hands and mind to create something original and unique.